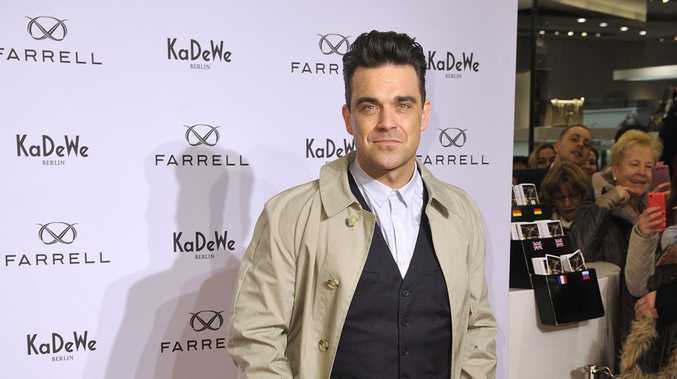 ROBBIE Williams was "terrified" of becoming a father. The 'Candy' hitmaker's partner Ayda Field gave birth to their first daughter Theodora Rose 14 months ago, and he admitted he had to learn to "step up" and change his lifestyle as he began to adjust to parenthood. He told Radio 4's Mastertapes programme: "She's a good kid. I've been a very selfish person for a long time and I've indulged myself in every way possible. "Then all of a sudden a person comes into the world that I've got to look after and be responsible for. "I was terrified that I wasn't going to be able to step up and be the father I want to be to her." The 39-year-old singer wrote a track for her entitled 'Go Gentle', and Teddy gave him a new found focus in his life. He said: "I made [new single] 'Go Gentle' as a promise to her during that time of not being certain - this is the most important job I will do on the planet. "I've become more focused and there is a point to everything. I feel as though I'm in tune with the planet again. "And now with the birth of Teddy everything has a meaning."